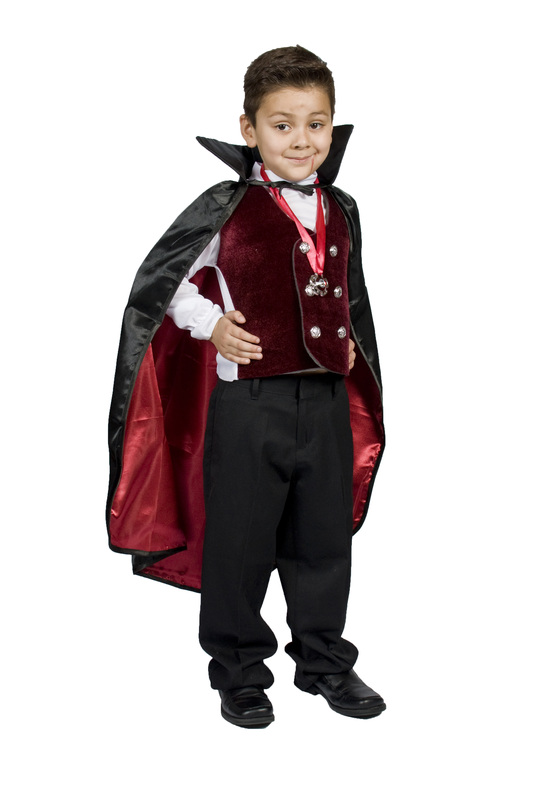 This is a Boys/Kids Vampire Halloween costume.The costume comes with the Vest with attached sleeves, Cape with attached collar and Medallion. Pants are not included. Please check exact size before buying by looking at the measurements given below.